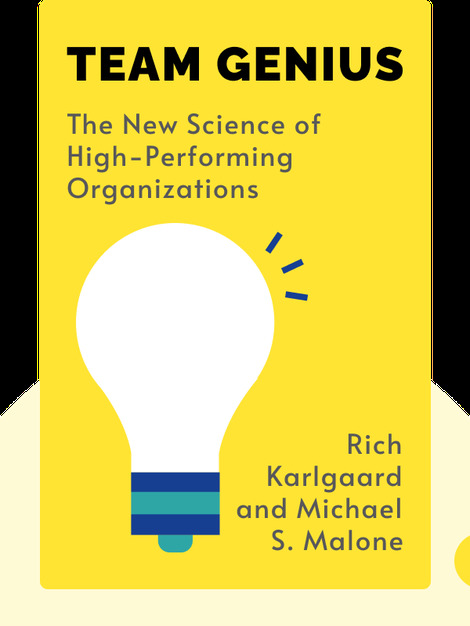 Team Genius (2015) is a comprehensive guide to teamwork in business. 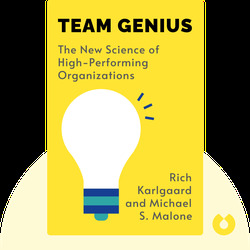 These blinks explore the different forms of teamwork and how you can optimize your teams to keep them productive, motivated and innovative. Rich Karlgaard is the publisher of Forbes magazine, where he writes a featured column, covering business and leadership issues. He is a co-founder of Upside magazine, Garage Technology Partners as well as Silicon Valley's premier public business forum, the 7,500-member Churchill Club. Michael S. Malone, the author of the bestsellers The Virtual Corporation, Bill & Dave and The Intel Trinity, is one of the world's best-known technology writers.